This FAQ is subject to change based on our upcoming meetings. Please check back as it will be updated periodically. We are a nonprofit company that serves to connect patients and doctors in a financially unbiased online community environment. My Best Friend’s Doctor, connecting good people with good doctors. We will become the premier service people use to find physicians. 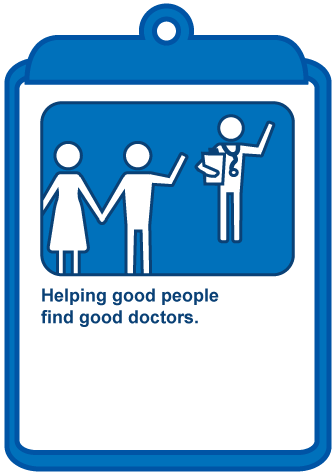 Simply put, we enable good people to find good doctors. We allow patients, physicians and organizations to locate each other and communicate in a financially unbiased online environment. 1. Help educate people on their choice of physician. 3. Encourage responsibility in the medical community. 1. Patients: Patients have a simple and reliable means to find a physician. 2. Physicians: Physicians have a level playing field. They have direct control over their online presence, regardless of employer. 3. Health Care Organizations: Organizations will be sharing the cost of a service that most hospitals are already providing independently. The board of directors for our organization will be comprised of an equal number of physician specialty and patient advocate leaders. We provide a high quality, reliable, non-profit alternative for finding a physician in a market that is dominated by for-profit companies. Donations: Businesses and individuals contribute and fully deduct their donation because we are a 501c3 nonprofit company. Fiscal Sponsorship from other nonprofits: Fiscal sponsorship from nonprofit hospitals: nonprofit hospitals pay a yearly fee (fully deductible) calculated per the amount of physicians in their organization. For Profit Health Care Organizations Subscribing to Our Service: Similar to our fiscal sponsorship from nonprofit hospitals, any health care organization that would like to be part of our service and have control over their organization’s page on our site will pay a subscription similar to a nonprofit organization. We won’t allow graphics, linking etc. on non-subscribing health care organization pages.